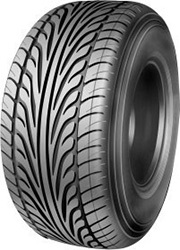 Infinity INF-05 tyres are great tyres that will give you all the grip and traction you need to make sure you have the confidence on every journey. Working well in both wet and dry weather conditions, there’s no reason to worry about the reliability and durability of these products as they are high quality tyres thoroughly tested on a wide number of journeys and environments. Improved water dispersion, braking performance and a reduction road noise are also good benefits. INF-05 tyres are a solid choice.